From running this website I have had the privilege to receive correspondence from many people who were in Florence during the flood. Last year I had my first communication from Joseph Blaustein. 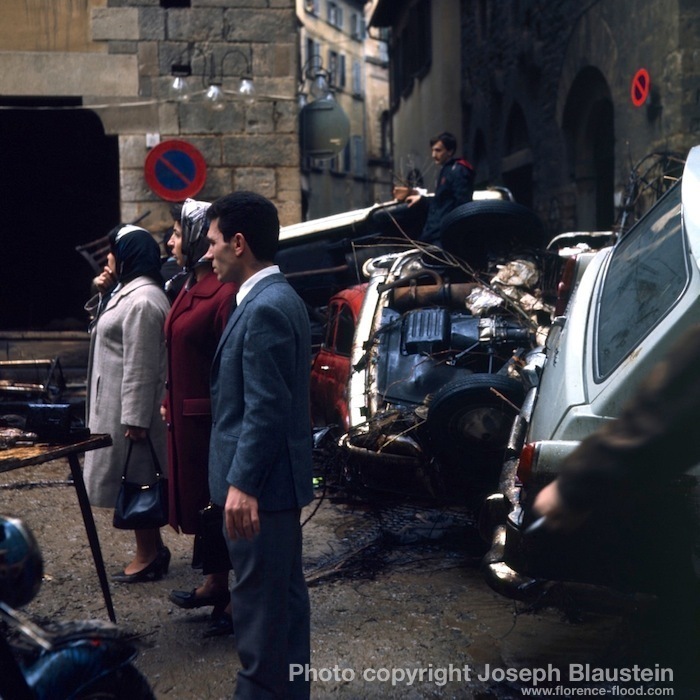 He has a treasure trove of color photographs from the morning after the flood (as well as an amazing personal story), and this year he finally had his old prints digitized (or he may have had them printed from negatives or slides - we have not gone over all the small details yet). He just sent me many of these shots. I only have time to share one now - but they are amazing, moving, vivid images of the flood - and may be some of the only color images anywhere. Please respect his copyright and his work - if you share these photos elsewhere on the web, kindly keep the copyright notice on the picture.